Hello! I'm trying to convert osm to kmz. I've found one solution, but I need to make osm much smaller. How can I keep only buildings in osm file? It will be perfect to keep buildings outline only with height visulization like on screenshot. thank you! do you maybe know a better way to visualize buildings height and convert file to kmz/kml for google earth? now I'm doing this - convert OSM to OBJ > convert OBJ to KMZ. It doesnt work for files more than 100mb size. After filtering buildings I have 500mb size file.. If you just want a visualization you can take a look at OSM2World. @squadgazz I have not worked on OSM 3D building, so can not suggest on this. 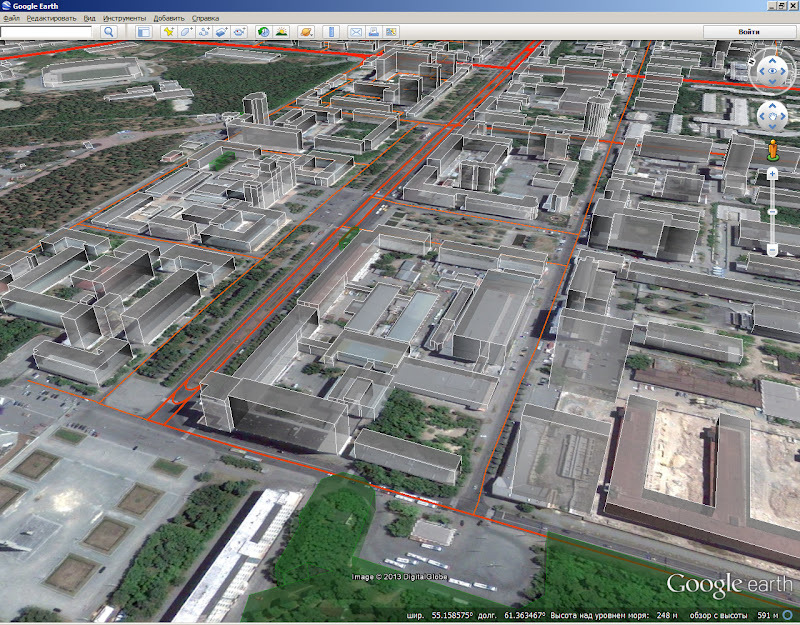 You can also get KML or geoJSON directly from the overpass API to import in Google Earth. In Overpass Turbo, go to 'Export', then choose the format you want. cool,thanks. but how to visualize buildings height like on screenshot?